Perhaps "Fort Trump" is making progress? 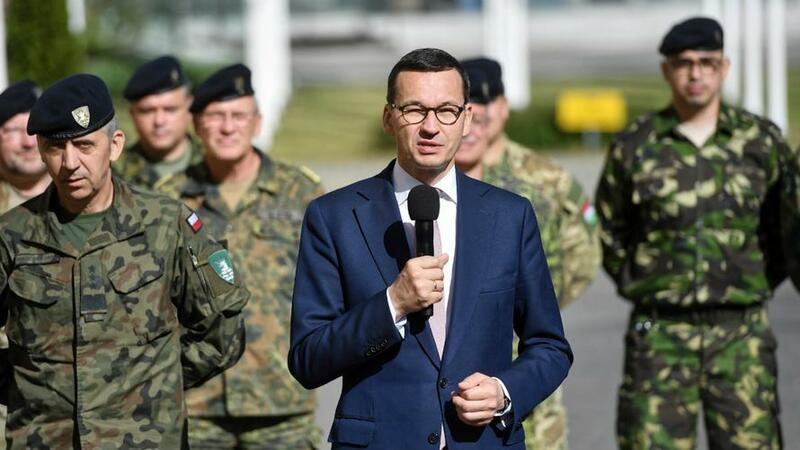 Polish Prime Minister Mateusz Morawiecki said Sunday in reaction to continued EU discussion of French and German to plans for a "European Army" that the United States is the only guarantor of European defense and security. Like the idea of "Fort Trump" first floated by Polish President Andrzej Duda in September during a White House visit, these latest statements out of Poland will be music to the US president's ears. “We would like Europe as a whole to strengthen its military potential,” Morawiecki told a Polish public broadcaster from Brussels immediately after Europe’s leaders approved the Brexit deal negotiated with the U.K. “But at the same time today we emphasize that the only real guarantor of security in Europe, including the eastern flank of NATO, is the U.S.,” he said according to Bloomberg. Morawiecki called for “a strong Poland in a strong European Union” and emphasized that Poland is both pro-American and pro-European. The two countries have been rapidly bolstering their military ties over the past few years in the face of what both perceive as expanding Russian influence. Last March Warsaw and Washington signed a $4.75 billion deal to transfer Raytheon's Patriot missile defense system in a major step to modernize its forces against Russia, the single largest such procurement in Poland's history. Meanwhile completion of the separate NATO operated Lockheed Martin made ground-based Aegis ballistic missile defense system is not set to be in operation until after 2020 due to technical delays. The Polish prime minister's statements come after early this month French President Emmanuel Macron proposed that Europe extricate itself from US foreign policy and security dependence by forming a common army that would be more than just symbolic, but could legitimately defend European interests and territory. While calling for greater independence in European defense Macron had managed to take aim at both Russia and the United States in a Nov. 6 interview, saying “We have to protect ourselves with respect to China, Russia and even the US.” He proposed that European leaders create a “real European army” not only to better defend the continent against Russia, but also to extricate French and European policy from that of the United States. But such a proposal will remain wishful thinking so long as key strategically located former Warsaw Pact countries like Poland refuse to play ball.